Written by Guest Blogger Dane, a WeCoAccessibility Specialist Intern. The most well-known and thoroughly discussed accessibility techniques make websites more accessible for the people living with a sight-related disability who use screen readers. People who are deaf typically get less or even no consideration. This is because most people believe the deaf population don’t really suffer from web accessibility issues. They can see the images, use a mouse, and navigate the site just fine. Right? Well, it all depends. Those who are deaf from birth may not actually read written english very well. It’s not that they are illiterate – it’s simply that they have learned sign language as their first language. Sign language is defined as a system of gesturing, used by people who are deaf and/or hard of hearing to communicate. It is as varied as any spoken/written language, with hundreds of different dialects that include, British Sign Language, Gestuno (International Sign Language), and American Sign Language(ASL). In addition to hand gesturing, sign languages also rely heavily on facial expressions, and overall body language to make points. Unlike English or other word-based languages, speakers of sign language rely more on communicating concepts, rather than words. It is possible to interpret sign language into spoken languages, but doing so does not result in direct translation. American Sign Language, was derived mainly from French Sign Language. “In the early 1800s, a minister to the deaf named Thomas Hopkins Gallaudet traveled from America to Europe to learn teaching techniques. In England, he met Roch-Ambroise Cucurron, Abbé Sicard, the director of a school for the deaf in Paris. (HowStuffWorks)” While in Europe, Gallaudet learned techniques for teaching sign language, as well as some signs used in Europe at that time. He then met Laurent Clerc, one of Abbé Sicard’s students. They then established a school for the deaf in 1817, in Hartford, CT. 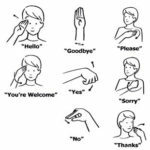 The version of sign language they taught eventually became what is now known as American Sign Language, which is considered one of the most comprehensive sign languages. Even though users of ASL may not vocalize while signing, it’s still common for users to refer to signing as speaking. In general, the person signing is referred to as a speaker, and the other person in the conversation is referred to as a receiver. When receiving signs, it’s a good idea to focus on the speaker’s facial expressions, and eyes, while using peripheral vision to see the actual hand signs. The reason for this is that speakers of ASL rely heavily on their facial expressions, and overall body language, to communicate concepts. Thus, failing to interpret facial expressions can lead to a complete misunderstanding between speaker and receiver. In some cases, learning to read and write Standard English can be difficult for some users of ASL, since English and ASL have different systems of grammar and structure, and complex rules, which apply to English, but do not apply to American Sign Language. Also, for some, not being able to hear spoken English can lead to difficulties while learning to read. 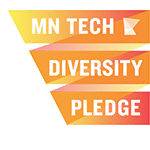 Therefore, to ensure digital accessibility, it’s a good idea to adhere to Plain Language Initiative, both in the context of the US Federal Government, as well as generally. 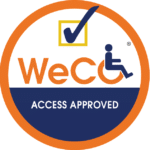 WeCo’s IT Accessibility Information Blog.